El Dorado Chicken – entrance. 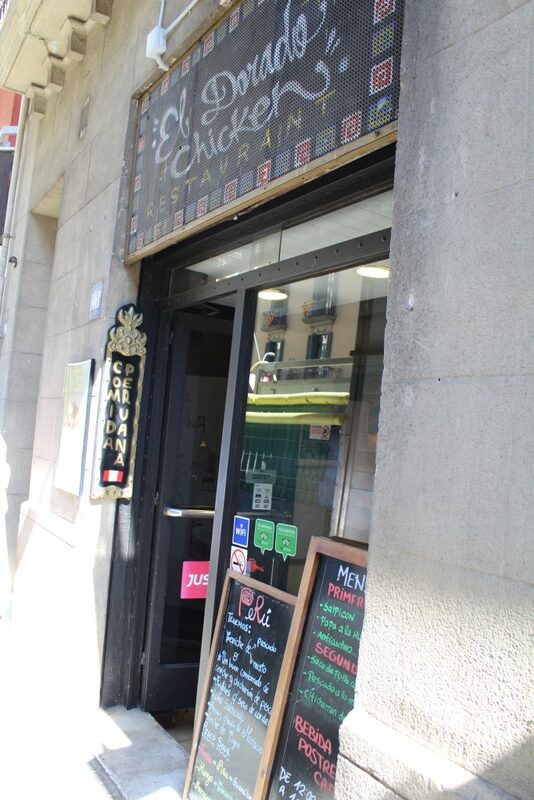 While strolling around Barcelona streets and looking for a place to have lunch, El Dorado Chicken – Peruvian Cuisine seemed promising. I’ve never tried Peruvian food before, but why not? 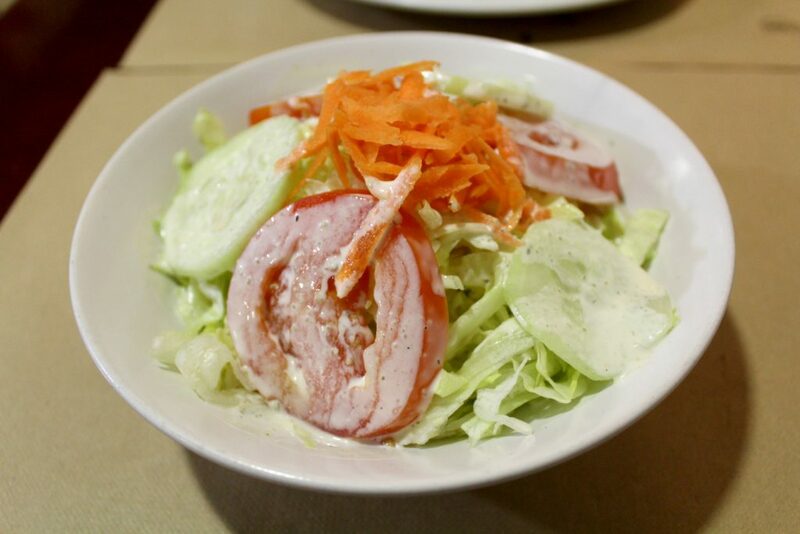 To share: Simple salad – lettuce, tomatoes, cucumbers, and carrots. Hubby: Lomo Salteado – Sautéed beef with vegetables, served with fries and rice. 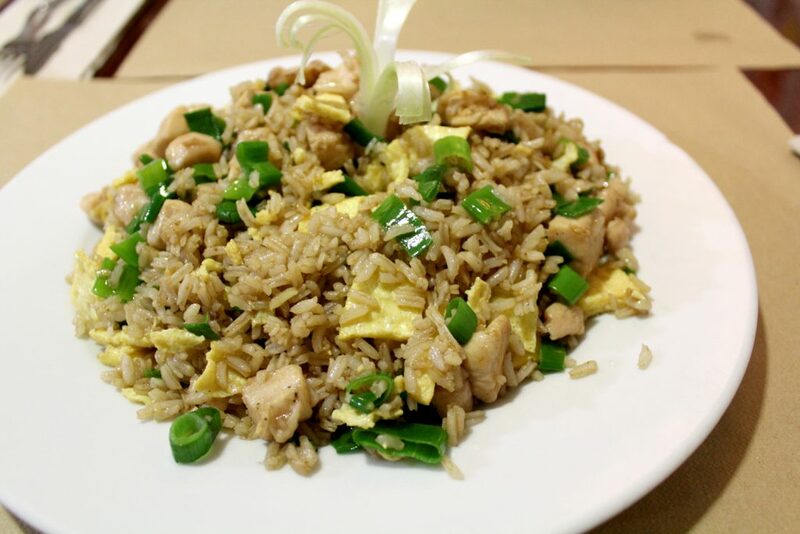 Mine: Arroz Chaufa – Rice mixed with chicken, eggs, and peruvian-chinese spices. Simple salad – lettuce, tomatoes, cucumbers, and carrots. 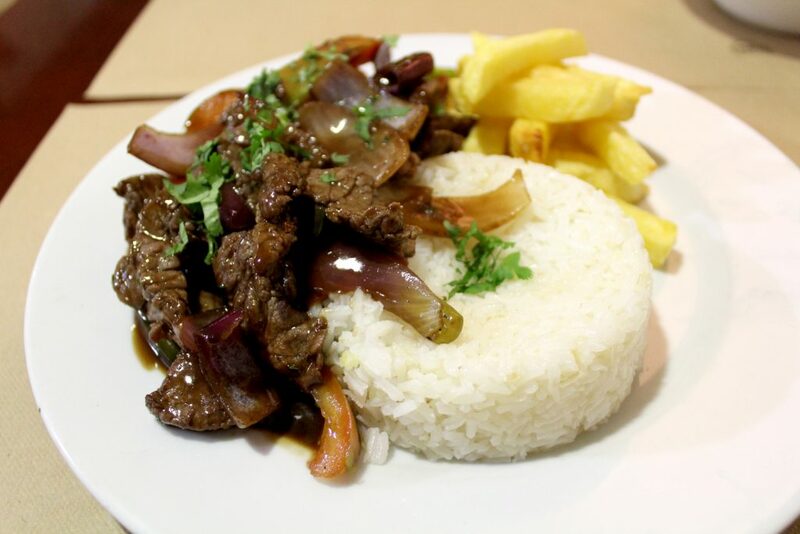 Lomo Salteado – Sautéed beef with vegetables, served with fries and rice. As I said, I’ve never been to Peru before, so maybe I’m getting the wrong idea here, but the food I had was 100% Chinese. Very good by the way, so no complaints about that. Very well serves with good price, but be aware this is Chinese Food and not Peruvian as they advertise.